Everyone knows there is almost no commercial market for short films…so why make them? Every film regardless of its running length is a big investment in time, hassle, people, money, and dreams. The first film I made as a student at the London Film School, Bingo, ran 90 seconds, and it took an entire semester to plan, prepare, shoot, and edit. Was it important for my career? It was huge! It told me I could tell a story on film, that I could translate an idea to the screen, that I understood the process and could make a little movie from start to finish. Thirty years later, while giving my Action/Cut Filmmaking Seminar in far-away Malaysia, a student who had attended the school in London told me he had recently seen the film there as an example of first-year work. Bingo lives on…movies never die! How would Spielberg have started his career if he had not made the 26-minute Amblin’ which VP Sid Sheinberg had seen after Steven was caught infamously sneaking on the Universal lot? It’s one thing to fool a guard at the gate but he sure had the goods when he had to show his potential talent with his film. That short film got him a 7-year deal at the studio. The only way to make noise is to enter festivals and competitions, and hope to win awards and get some promo. Amblin’ had won at the Atlanta Film Festival and Steven could put the word “WINNER” on his poster. 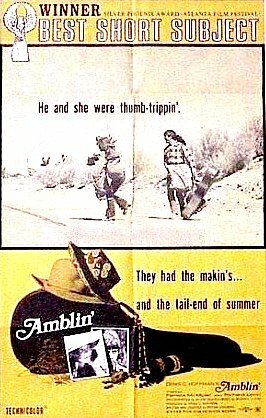 My American Film Institute short Once Upon An Evening, which ran 22 minutes, got me that same Spielberg deal back in 1978 when VP Peter Saphier thought it showed promise and was my industry angel. Just a few years later, when I was about to direct my first feature SHRIEK and was looking to hire an affordable production designer and visual effects artist, I saw James Cameron’s 15-minute short Xenogenesis and hired him on the spot. Roger Corman had also seen it and had hired Jim which is where he was slaving when I met him. He built my creature/monster and I almost succeeded in stealing him away from Corman’s company, but Roger had promised him a directing gig to keep him and Jim wisely stayed and directed his first feature within a year. The rest is history. Making short films is absolutely essential for every promising filmmaker with a movie career dream. 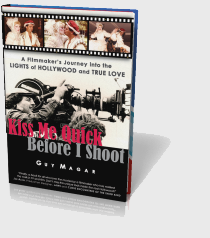 Not only does each film build confidence, but with every film your knowledge base grows and your third film should be a lot better than your first…your fifth even better. It’s all about learning the craft and becoming a better storyteller, and it gets more challenging and complex as the films get longer. Making shorts is how it all begins and they are the entry passports into Hollywood. Whether you go to film school or not, the passion of making short films is the currency to building a pro career. Almost everyone you ever heard of started out making shorts from George Lucas’ Electronic Labyrinth: THX 1138 4EB made at USC to Marty Scorsese’s NYU films What’s a Nice Girl Like You Doing In A Place Like This and It’s Not just You, Murray! 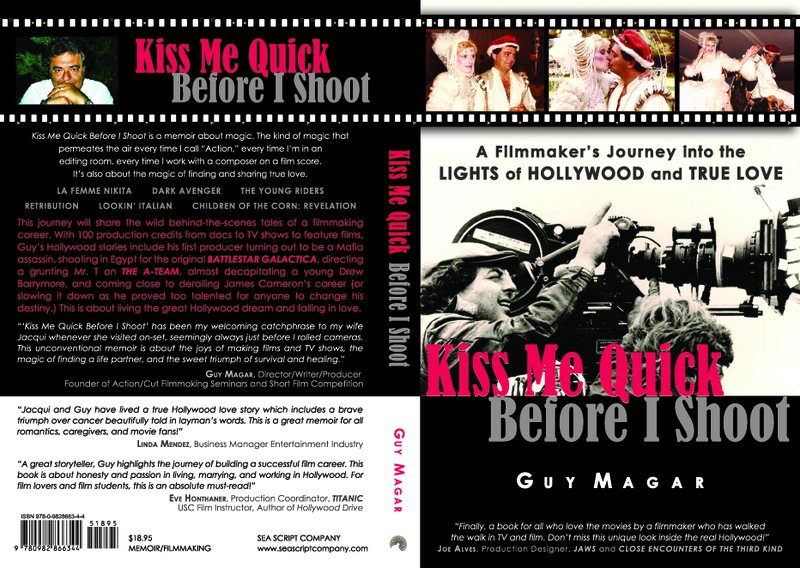 This entry was posted in Book Lovers, Celebrity in America, Entertainment News, Filmmaking, Hollywood Industry, Movie Magic and tagged Geroge Lucas, James Cameron, London Film School, Martin Scorsese, NYU, Peter Saphier, Roger Corman, Short Films, Sid Sheinberg, Steven Spielberg, Universal Studios, USC. Bookmark the permalink. Great article! Very inspiring. Definitely a good read. I must point out your website is really valuable I also enjoy the layout, it is superb!